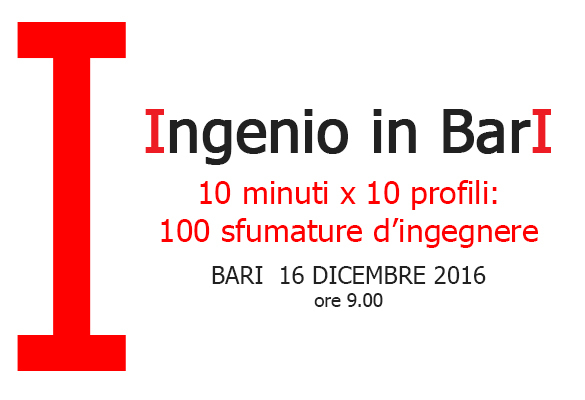 Appointment on December 16 from 9.00 to 13.30 with the conference “Ingenio in Bari”, organized by the Italian Women Engineers and Architects at the Majestic Hotel in Bari. The project Ingenio Feminine, the brainchild of the National Advisor Ania LOPEZ, had a roaring start in September 2013. 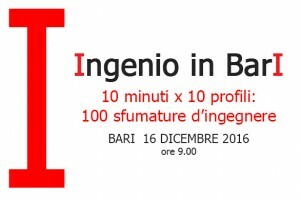 The project is dedicated to the enhancement of the female figure in the scientific and technical professions and, on the merits, it is a timely study on the issue of dual status “woman-engineer”. Research and studies on this subject are aimed at making more, the difficulties that this combination meets at different levels both among professionals as among employees of private and public ones up within universities.